PORTLAND - Sage Window Cleaning Inc.
Sage Window Cleaning is proud to offer the very best service in Lake Oswego and Portland Window Cleaning. With a personal touch and second-to-none customer service, we are equipped with the most up-to-date window cleaning techniques and equipment. ​We are relied upon daily by businesses and residential home owners throughout Lake Oswego and Portland for all their professional window cleaning needs. We offer a complete window cleaning which includes cleaning your screens, tracks and sills with no extra charges. Our crews will show up on time, fully uniformed in a clearly marked vehicle and perform our cleaning services with the highest degree of consistent quality and professionalism. ​Our services include residential window cleaning, commercial window cleaning including high-rise buildings, new construction window cleaning, storefront services, gutter cleaning, and solar panel cleaning. Sage Window Cleaning Portland is now Open! 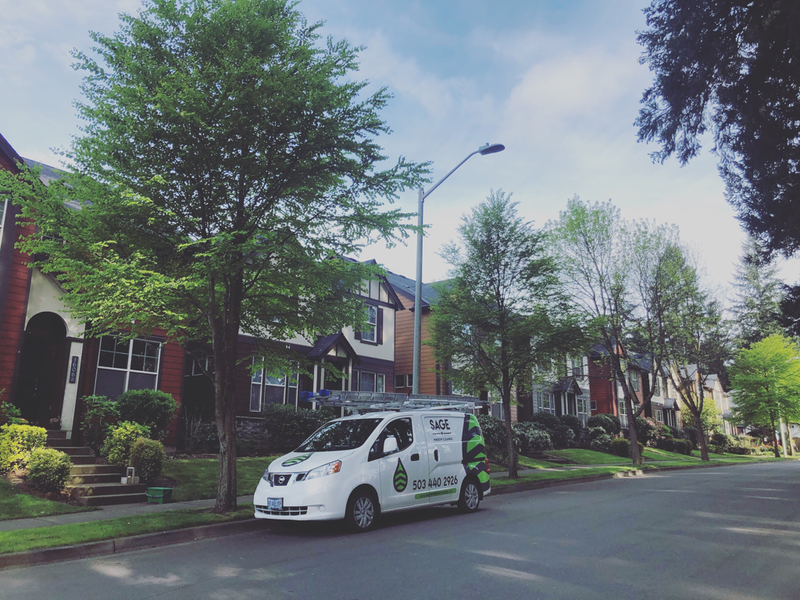 Check out our blog for the latest window cleaning news and helpful tips from Sage Window Cleaning in Lake Oswego, Oregon! We not only clean your windows, we clean the screens, tracks, and wipe down the sills as part of our service. ​Sage Window Cleaning is happy to provide a great service for a fair price and we don't consider our job complete until our customers are 100% satisfied. We offer the only 7-day rain guarantee in Lake Oswego and Portland Oregon on all our window cleaning services. If you have any questions about our services please call our office at 503.440.2926.